Superior scale, volume, attention to detail and exceptional outdoor space with iconic views highlight this remarkable Greenwich Village penthouse.The apartment features 6,325 square feet of interior space with four bedrooms, four and one half baths, a library, large formal living room with wood-burning fireplace and a 1,188-square-foot rooftop terrace with outdoor kitchen.However, true art is in the details, and this where 37 East 12th Street and the penthouse shine. 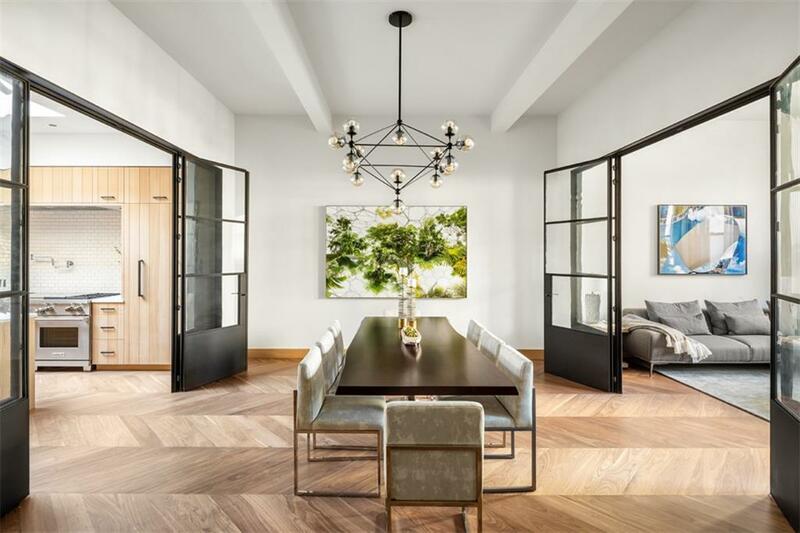 The 1896 vintage building has a carefully restored cast iron facade that provides the perfect historic backdrop for the apartment's modern yet classic interior finishes which feature: chevron-patterned walnut floors, barrel vaulted 11-foot high ceilings with skylights that enhance this already light and bright apartment. The sun-filled kitchen offers custom rift, white oak cabinetry, honed marble countertops and a crackle-glazed tile backsplash.The master bathroom is wrapped with Calacatta marble walls plus artisan level installation of mosaic tile floors with a Leroy Brooks soaking tub and separate stall shower and private water closet.On the apartment's top level is a glorious rooftop terrace reachable by elevator or interior stair. The terrace's lush landscaping, architecturally compelling and dramatic pergola and gorgeous plantings are the work of the masters of landscape architecture, Harrison Green. This outdoor environment is fully irrigated, with custom lighting, complete outdoor kitchen with grill and outdoor television. 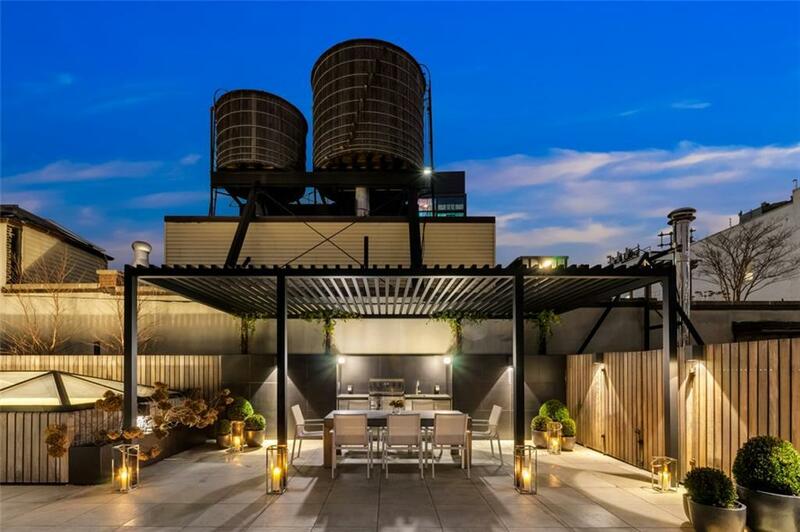 The terraces offers skyline views of midtown's most notable buildings in addition to views of the classic building-top water towers, churches and historic buildings that surround 37 East 12th Street. 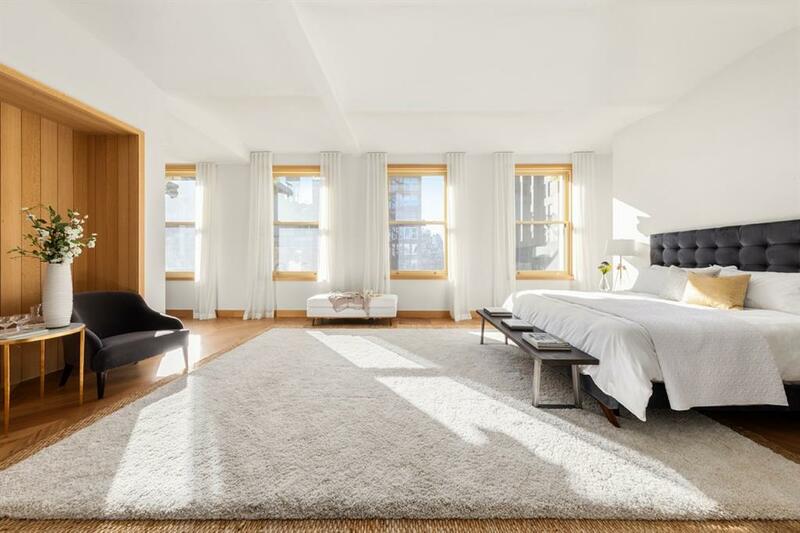 Today's most discerning Manhattan buyers value the privacy, intimacy and peaceful environments afforded by boutique condo buildings, and the six-unit, 37 East 12th Street is the quintessential example of this property type. 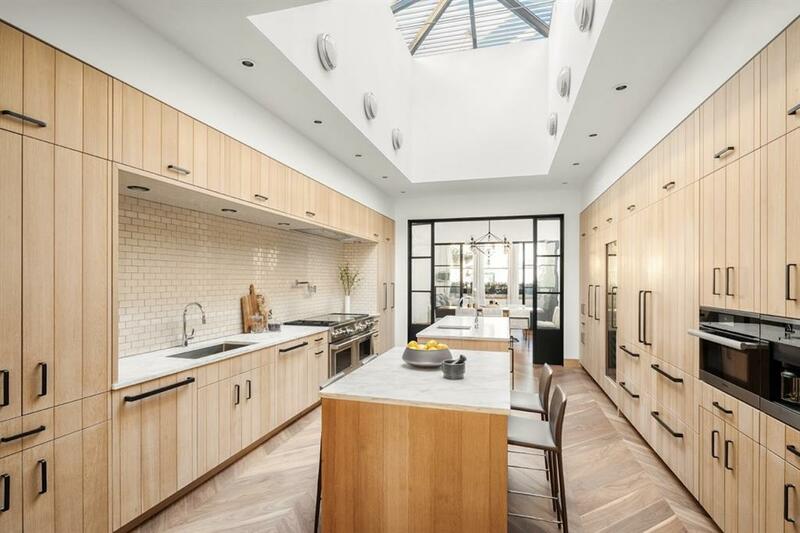 Full-time doorman, building gym, auxiliary generator, humidification system and private storage all elevate the day to day experience here at 37 East 12th Street. Listing courtesy of Jim St. Andre of Compass.